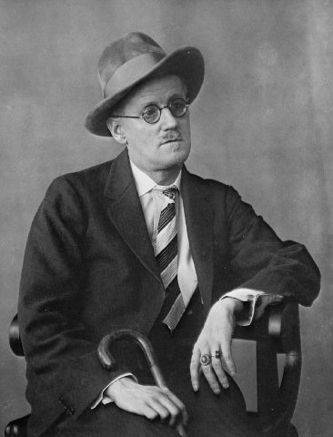 “A Little Cloud”, by James Joyce, is a story about self-revelation as revealed through the introspective ponderings of what appears to be an outwardly little man of average stature. Yet however little the main character appears to be; he is one who desires to live a larger life. Get help from Paper Masters on writing a research paper that talks about the theme, symbolism or story line of James Joyce's A Little Cloud. Chandler’s friend of old, Ignatius Gallaher, serves as a one-dimensional character, a prop, for the story’s main character to bounce off of in his ongoing melancholy self-explorations and epiphanies. Before Chandler reunited with Gallaher, he had played with a melancholy strain in pondering the what ifs and possibilities concerning his dream to live a literary life of imagined self-fulfillment through poetic recognition and expression. His longing to be a literary man, like Gallaher, intensified as “every step [to Gallaher] brought him closer to London, further from his own sober, inartistic life” . By the time he entered Gallaher’s world at Corless’ club, Chandler was high upon his ladder – filled with inner fantasies and longings to be somebody more than what he felt he was – somebody like Gallaher. Therefore, Gallaher, in acting the same, propped up superficial man from his introduction to his exit, exist in the story only to feed Chandler’s mounting revelations of discontentment. Chandler experiences the epiphany of how great his desire really is to express himself through poetry and be recognized and appreciated for it. Gallaher’s presence, with his non-stop banter about his great life in the bigger world outside of Dublin, acutely exasperates Chandler’s growing feelings of discontentment. Gallaher’s character delivers the final blow when Chandler, finally recognizing the snobbery and puffed-up nature of his worldly friend, tried to make something large of his own marriage. Gallaher, staying true to his character, made marriage to a plain woman seem trivial and dull. Chandler then realizes that his marriage is lacking. Chandler “... felt acutely the contrast between his own life and his friend’s, and it seemed to him unjust”. London research papers discuss the diverse culture of London and go into the many experiences one would have in this city. James Joyce Ulysses - James Joyce Ulysses research papers examine the eighteen chapters of the modernist novel by James Joyce. Dead James Joyce - The Dead James Joyce essays examine a short story by Irish writer James Joyce. James Joyce's Eveline - Research papers on James Joyce's Eveline identifies an aspect of the text and develops an interpretation of the story. Modern Mood - The Modern Mood essays go into the characterization of twentieth century British literature. Edith Wharton - Writers such as Henry James, William Faulkner and James Joyce were all read by her. Henry James was also a close friend of hers. Short Stories - Short Stories essays discuss the form of literature that generally encapsulates a single episode or self-contained incident with a smaller cast of characters. House on Mango Street - The House on Mango Street research papers overview Sandra Cisneros story of her life in one of the most famous stories in Latino Literature. Paper Masters writes custom research papers on A Little Cloud and look at a story about self-revelation.